The European Court of Justice has upheld a lower court’s decision finding that the European Commission violated its own procedural rules when it blocked UPS’s attempted takeover of TNT in 2013. The ECJ ruled today that the enforcer violated UPS’s right of defence when it told the company in a statement of objections that it was using one econometric analysis to consider the deal, but actually relied on another without issuing a new statement of objections. The European Commission had appealed to the ECJ against a 2017 ruling by the EU’s General Court, which annulled the enforcer’s 2013 decision to block UPS’s €5.2 billion acquisition of TNT. The commission concluded at the time that the three-to-two merger would harm competition for the express delivery of small packages in 15 European countries, including the Netherlands, Sweden and Poland. The courier companies actually abandoned the deal two weeks before the commission gave its final opinion, once they became aware of its opposition. 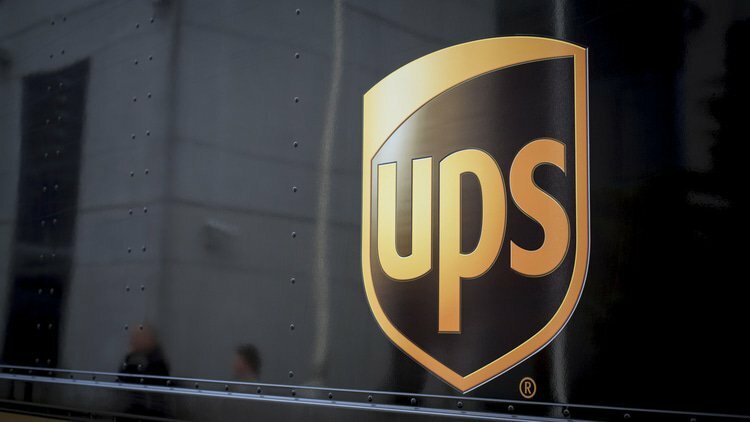 UPS paid TNT a €200 million break-up fee as a consequence of the deal’s failure, before TNT was eventually acquired by rival courier Fedex in 2016 for US$4.8 billion (€4.2 billion). UPS appealed against the commission’s decision in 2013 and the General Court found in 2017 that the enforcer had violated the courier company’s right of defence during the investigation. The commission argued before the General Court that a new statement of objections was unnecessary because it informally communicated the changes to the companies. However, the court concluded that the change in analysis “cannot be regarded as negligible”. Therefore, the commission should have formally communicated the final econometric analysis model to UPS before it adopted a decision, the court ruled. The ECJ today upheld that ruling, noting that the courier would have been able to better defend itself had it been properly informed of the econometric model that the enforcer relied upon. Econometric models contribute to the “impartiality and quality” of the commission’s decisions which, ultimately, is the “basis of the trust” that the public and businesses place in the enforcer’s merger control procedure, the court said. Given the importance of econometric models in merger analysis, the court said the commission’s failure to disclose its methodological choices runs counter to the objective of encouraging transparency and undermines the effectiveness of subsequent judicial review of its decisions. The ECJ also echoed advocate general Juliane Kokott’s opinion last July, which said it is “necessary” for the commission to disclose the econometric models it relies on, as disclosure helps ensure that the procedure complies with the principle of good administration set out in Article 41 of the Charter of Fundamental Rights of the European Union. Today’s decision comes too late for UPS to salvage its TNT takeover, but the courier company has already filed a claim before the EU’s General Court for €1.7 billion in damages from the EU enforcer, which was stayed pending today’s ruling. A spokesperson for UPS told GCR the company is pleased the court agreed that the courier company “was not given a fair hearing”. The judgment is significant because it helps clarify merger review procedure, the spokesperson said. A spokesperson for the commission said the enforcer has already taken on board the guidance originally given by the General Court, which has now been confirmed by the ECJ. The authority said it fully recognises the importance of rights of defence in competition proceedings and strives to give parties “ample and sufficient opportunities” to comment and respond to the commission’s economic and econometric analysis. Jay Modrall, a partner at Norton Rose Fulbright in Brussels, said today’s decision shows the EU enforcer still has “room for improvement” when it comes to correctly using econometric evidence – which is becoming ever more important in major merger cases. The ECJ’s ruling also highlights that companies will find it easier to win appeals challenging procedural violations than by questioning the commission’s substantive analysis, Modrall said, as EU courts are more reluctant to second guess the enforcer. Baker Botts partner Catriona Hatton said today’s decision shows that companies have “no realistic prospect” of salvaging deals that were wrongfully blocked. She noted that the appeal took almost six years from the commission’s original decision, during which time UPS completely lost out on the chance to acquire TNT. David Cardwell, who is counsel at the same firm, said this judgment will likely encourage merging parties in complex transactions to be forthright in requiring as much transparency as possible from the commission when assessing their mergers – given the role and importance of econometric studies and other complex data-led analysis continues to grow in merger control proceedings. White & Case Brussels-based partner James Killick said today’s decision sets “a strong statement of principle” that the methodology underlying economic models must be as objective as possible to contribute to the impartiality and quality of commission decisions.